12 Strand LC Singlemode 9/125 Fiber Pigtail, 3 Meters Long with 900 micron buffer. 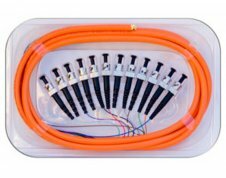 These Singlemode 12 fiber pigtails with 900 micron buffer are ready for splicing. 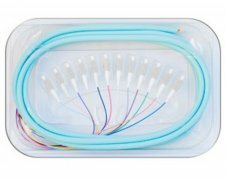 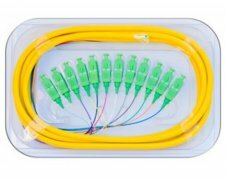 Each fiber strand in the kit has a color-coded buffer for easy identification and the colors are industry standard. 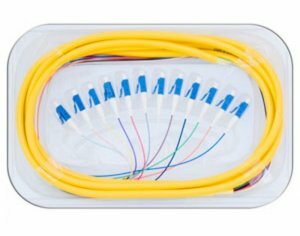 Each of the twelve (12) fiber strands are terminated on one end with a LC connector. 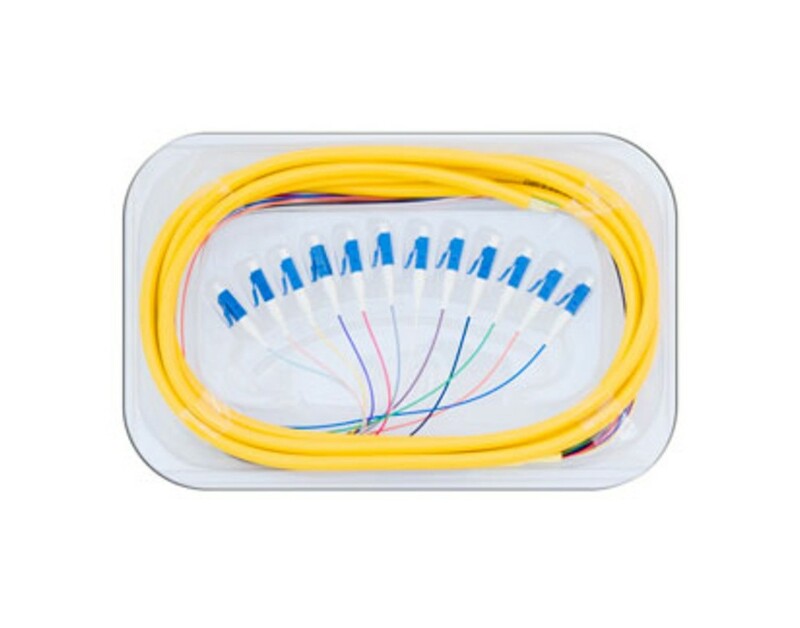 The LC Connectors are ceramic with Ultra PC (UPC) finish. 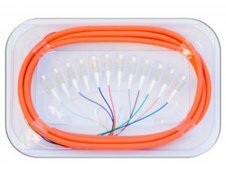 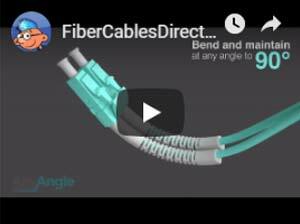 Each cable comes with test results and a lifetime guarantee.